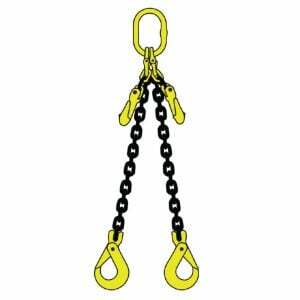 A chain sling is one of the most versatile and durable pieces of heavy lifting equipment currently on the market. They are easy to repair, cheap to buy and most importantly fit a wide range of purposes across every industry. Their main purpose is overhead lifting of heavy blocks or equipment units. 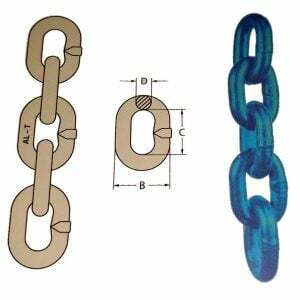 The most common type of chain sling is manufactured from alloy steel for added strength and resilience. 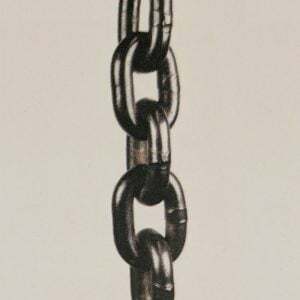 At All About Lifting & Safety, we stock only the highest-quality chain slings to make sure that you have the strength and reliability from the product when you need it most. At All About Lifting & Safety, our team of qualified professionals are focused on helping you choose the right product for you. 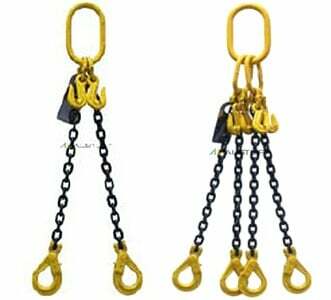 The wrong size or strength of chain sling can result in serious damage to the item being lifted and to the personnel operation the lift. Chain sling strength. One of the most important selection criteria for an appropriate chain sling is choosing one that is strong enough to manage the loads you have in mind. Overloading a chain sling will only lead to damage of the equipment and possibly injury in the workplace. Safe working load. When using a chain sling (or any heavy lifting equipment) you should never exceed the safe working load of the equipment to prevent injury or damage to the equipment. Check it. You should visually inspect your chain before you begin using it to check for signs of damage. You should also have an All About Lifting & Safety professional inspect it periodically for any more fundamental faults. Clean surfaces. 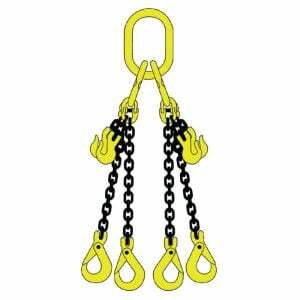 Make sure the surface of the item you’re lifting and the chain sling are clean, dry and free of oils, etc. At All About Lifting & Safety, we are Australia’s leading supplier and advisor of all heavy lifting materials and chain slings. As accredited safety equipment suppliers and inspectors we take safety seriously. We only stock high quality products and equipment that meet Australian safety standards and are built to last. We go above and beyond, by also offering advice on how to best maintain your equipment to ensure it remains in a safe working condition. Additionally, we can complete on-site inspections to test and repair any of your equipment. Call us today for a consultation with one of our experts to answer all of your lifting equipment and chain sling needs.